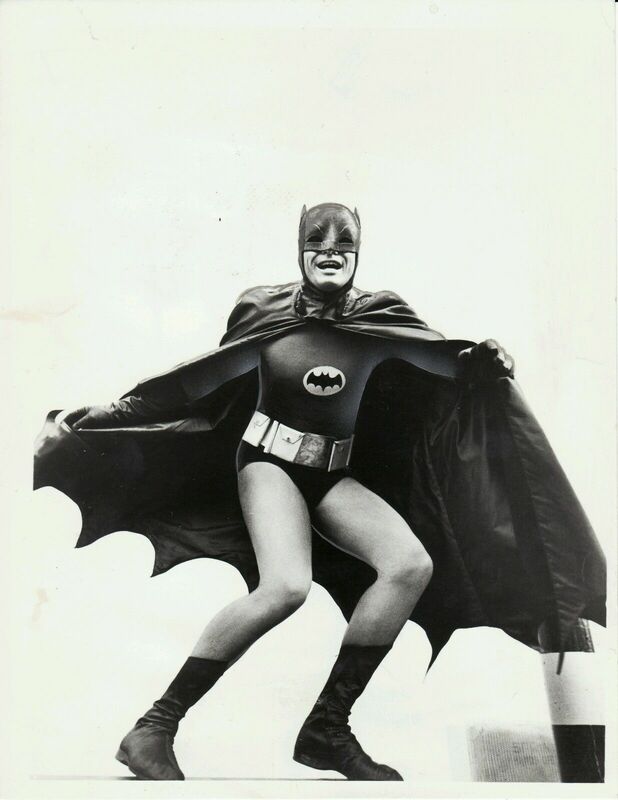 Photo of Adam West as Batman from the television program. In this awesome early image Adam West is playing the most iconic superhero of that time. This image is a promotional photo from the movie studio when they released their spinoff movie to the show "Batman." The movie was released a few months after the show was. This image is dated August 12th 1966 and is credited by "20th Century Fox."